Manufactured in France from 0 until 0. 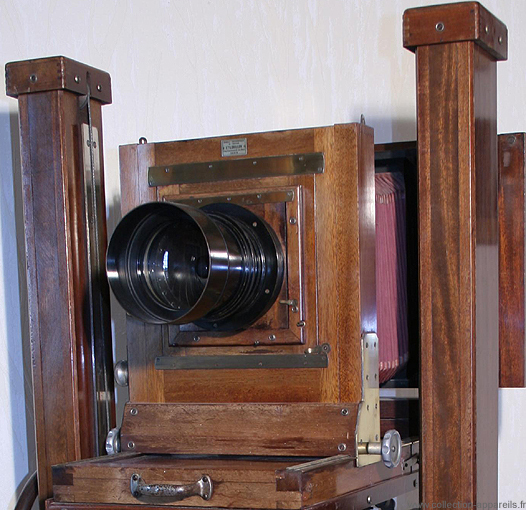 This camera is 1.80 meters tall and weighs about 80 kilograms. It is made of walnut, metal parts are made of brass. Its size and format of the plates (18 x 24 cm) destined it to the studio portrait. The lens is a Hermagis portrait Série 2, No. 2, but there is no evidence that this is the original lens. Its number is 272 586. The curtain type shutter is a Cl. Guerry No. 42. 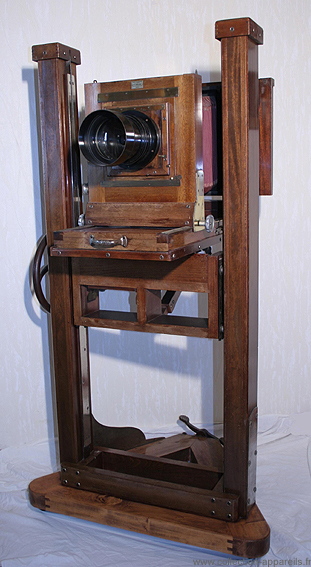 At the Gracay (France) photo museum, this camera has a near twin sister which shows a "cradle", to tilt the camera as to correct the horizontal plane.